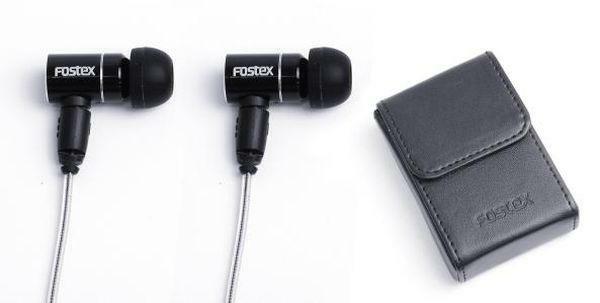 Fostex is best known for professional musical equipment but also familiar to the consumer market for its headphones. One of its latest developments is a range of earphones squarely aimed at consumers. The full range consists of four pairs covering a wide range of price and quality points. We have three pairs from the range here today for review, the mid range TE-03, a higher quality pair, the TE-05 and the range topping TE-07 (in the picture above). It is the TE-07 which is the most interesting as it features an unusual technology - the balanced armature driver - but we'll get that in due course. I seldom use or review earphones as they are tricky little beasts. I'm not even sure what to call them! Are they "in ear monitors", "earbuds", or "earphones"? 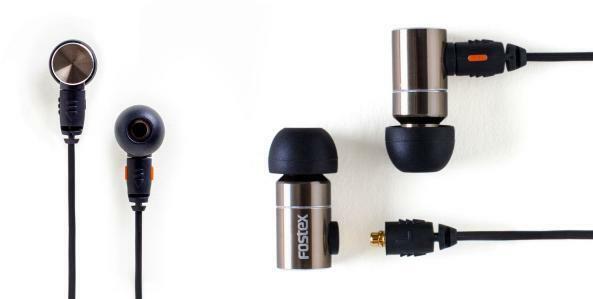 Fostex calls these "earphones" so I think I'll stick with that. More seriously though, the sound of earphones depends so much on the shape of the ear canal and how well the earphones fit and address that shape. They can also be very source dependent. With that in mind, your mileage may vary more with this review than most! All three pairs are well presented in their retail packaging and come with a range of ear tips. The distributor supplied Comply foam tips which was helpful. I find these are essential to getting a good sound from earphones so, after a quick check that this was the case here, used them for the auditioning. The TE-03 has a microphone and control integration for mobile phone, the other two pairs offer removable cables to allow for simple replacement. The TE-05 and TE-07 also have a neat leather carrying case. The TE03 is postioned as a basic pair of earphones for everyday use. They are made of aluminium and have a fixed, flat, non-tangle cord. The promise of non-tangling seemd accurate and the cable wasn't unduly microphonic although it did transmit sound with movement. They seem pretty robust but look a bit "stubby" to me. They may be practical but they won't win any prizes for elegance. The sound is pretty much what you might expect from a pair of cheapish earphones. Bass is present and warm but not exaggerated. The bass extension seems good but there's not much detail. Midrange can sound congested and the treble is a little basic. Having said that, listening through a selection of Chesky audiophile samplers was mostly OK. The earphones have a fair sense of rhythm and plenty of detail to render acoustic environments. But moving to more challenging material caused some issues. I tried the Kabalesky Overture from the Reference Recordings Sampler and the horn introduction was unlistenably harsh. Thinking that maybe it was a shortcoming with classical music I tried 'Royals' from 'Pure Heroine' by the young New Zealand artist, Lorde. It's an exceptionally well produced album with good use of space and dynamics for a modern recording. But the harshness was still there. I did a couple of quick comparisons to be sure I wan't being overly critical. I listened to the Brainwavz S-Zero earphones which I reviewed a while ago and which are in a similar price range. These did a much better job of the highs and presented a more musical image overall (albeit they were slightly boomier in the bass). I found the same with the Ultimate Ears phones that I normally use. In summary then, the TE-03 would not be my choice for listening on the go. Moving up to the TE-05 takes us towards audiophile territory. If you're willing to pay £100 for a pair of earphones you expect a pretty good performance. And the TE-05 does deliver an entirely different class of listening experience to their junior sibling. There's an immediate step up in material quality too from the cheaper model. The casing is more sturdy, the aluminium better finished and of a neater design. The cable is detatchable and uses a standard connection type allowing use with third party replacements (although compatibility is not guaranteed). To jump ahead a bit, I didn't find that swapping cables with that from the TE-07 made much of a difference, so the main benefit of replaceable cables is the ability to change them easily if they get damaged. That can be an important practical consideration, if not an audible one. I spent more time with these and found them to be a pretty good travelling companion. I like the bass, which is much tighter and well detailed but never overwhelming. The mid range is clearly articulated. But there still seems to be some harshness in the highs. They're a very 'fast' earphone. Listening again to some of the Chesky material I was struck by the clarity of the percussion in the Latin dance tunes, such as Paquito Rivera's 'Tico Tico'. Going back to the Kabalesky again, some of the harshness is still there but they're delivering a much more rounded sound. The Lorde track was presented far more gracefully than before. Curiously, when I first heard the earphones I preferred the TE-05 to the, substantially more expensive, TE-07. My first impression of the TE-07 was that it sounded rather like a single driver loudspeaker. Great midrange but a bit lacking in the other frequencies. I don't know whether my ear grew accustomed to them or if the mechanism needed some use to get to its best, but I came to prefer the TE-07. It's much the same design as TE-05, slightly utilitarian but classy. The cable is different to that of the TE-05 and also offered separately as an upgrade to the cheaper model. I swapped the cable out (it was easy) but, as I mentioned earlier, I didn't hear enough of a difference to warrant upgrading the cable. Both cables were slightly microphonic, but not badly so. One point of interest about the TE-07 is the balanced armature design. This technology, which originated in hearing aids, is much used for in-ear monitors for stage and professional use. I won't attempt to explain the difference to conventional dynamic drivers, suffice to say it allows faster sound and better tuning of the driver to specific frequency ranges. 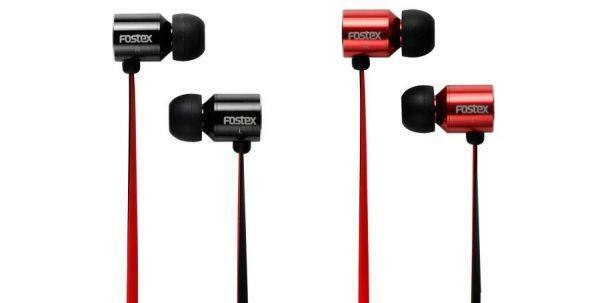 These earphones are marketed by Fostex for their naturalness and transparency. This is definitely their strength. They give a very clear view into a mix and the focused midrange creates a much stronger soundstage than the somewhat ethereal image generated by the TE-05. As I got used to them I realised there is more bass than I thought at first. It's just very fast and a little recessed compared to what I'm used to. Listened to on their own terms they delivered a natural, if somewhat light image. So back to the Kabalesky and the harshness I'd heard before is exposed as simply the natural brightness of an orchestral horn section. The Lorde track presented the vocals much more credibly. with a feeling of immediacy and detail, like being inside the microphone. With the type of singer-songwriter material I often listen to on my travels they were consistently good. I would have reservations about them though for rockier (or heavier classical) material as they just don't deliver the impact. The TE-03 are a reasonable basic pair of earphones but it's a competitive sector and I think there is better available. The TE-05 is a step up with strong in presentation of detail and well balanced tone. Bass is nice and tight but the highs can be a bit harsh. The TE-07 is much smoother and has a more natural presentation. Excellent mid range, but a bit lacking in impact. All in all a bit of a mixed bag but one that made my commute to work more interesting for a few weeks.